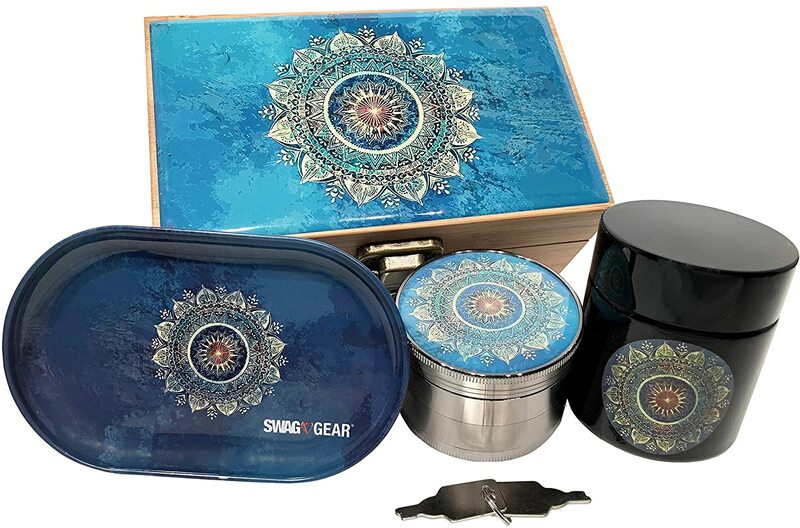 ★ PREMIUM STASH BOX COMBO – Blue Mandala Stash Box Combo includes a matching titanium grinder, UV Glass Stash Jar and Rolling Tray! Grinder and jar rest safely inside the cushioned inner platform, protecting your stash from impacts and drops! Perfect smoking accessory for the smoker on the go! Make a great matching gift set! 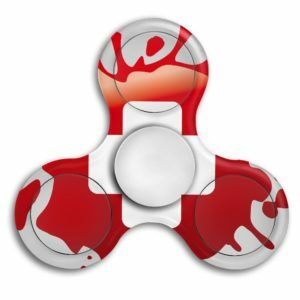 ★ NEW! LOCK YOUR BOX! 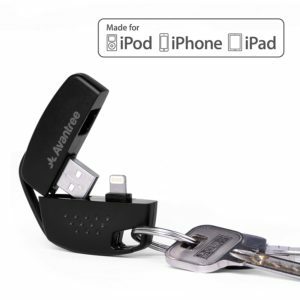 – Stash box with lock and key adds protection to your stash! Organize your herbs, spices, and smoking accessories neatly and safely inside the Locking Stash Box! Box comes with a lock and key for added safety and protection. Lock your box to keep others out! Protect your stash and yourself! 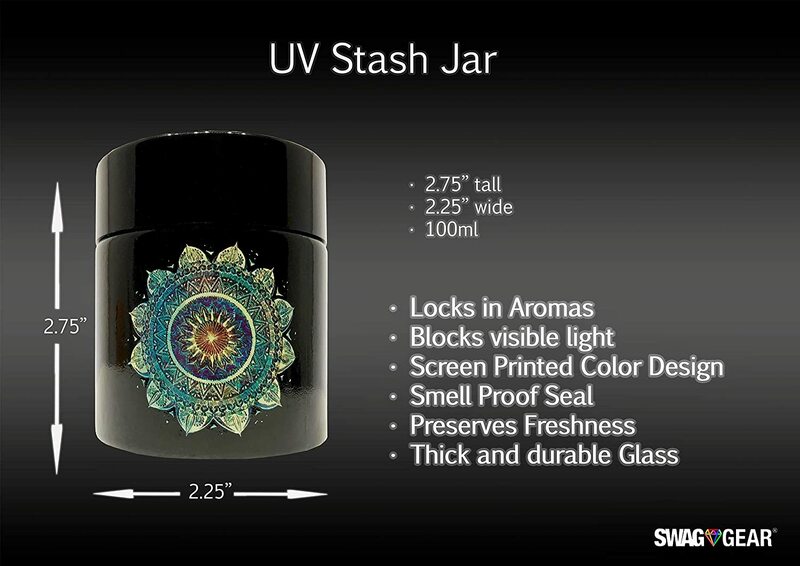 ★ KEEP YOUR HERBS FRESH – Full size 100ml glass stash jar with a Blue Mandala logo. UltraViolet (UV) protection will preserve your herbs keeping them fresh for months! Airtight seal eliminates smells! Smell proof stash jar! ★ MANDALA DESIGN – The Mandala symbolizes wholeness, unity, harmony and a deeper connection of mind and body with the world/universe. The Mandala offers insight into ourselves, our relationships, our character and motivation. Through meditation the mandala helps us reflect on the past, a clearer understanding of the present, and with practice a glimpse into our future. Show the Mandala symbol in your home as a sign that you seek wisdom, self knowledge, and a deeper sense of purpose. ★ 100% SATISFACTION GUARANTEE! 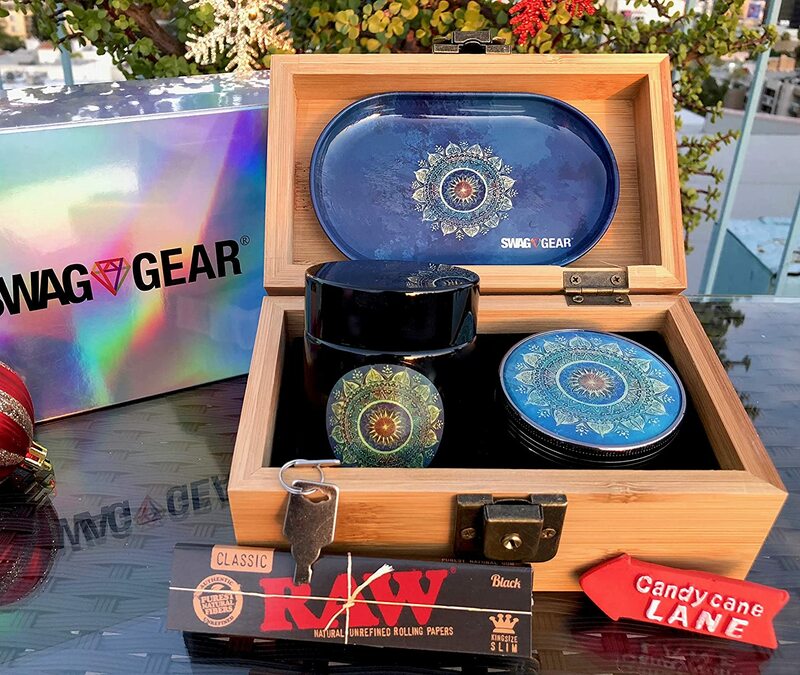 To demonstrate our confidence in the quality and integrity of stash box combo we offer a 100% satisfaction guarantee or your money back. No questions asked. Also makes a great gift! Buy with Confidence! 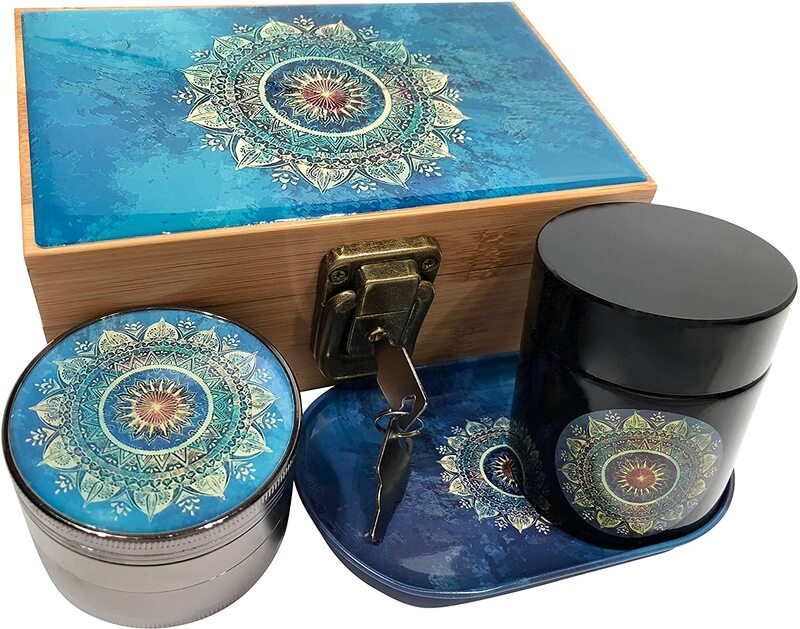 BLUE MANDALA STASH BOX COMBO WITH GRINDER STASH JAR & ROLLING TRAY – Combo Includes a matching 4 piece titanium grinder, smell proof stash jar, and rolling tray that fit neatly inside the Wood Stash Box. Four piece titanium grinder with fifty diamond blades in the main chamber. Stainless Steel 100 micron Pollen Catcher Screen. Precision Milled Holes that ensure only consistent sized grains collect in the center chamber. Powerful Neodymium Magnet to create a tight seal, locking in contents and smells. 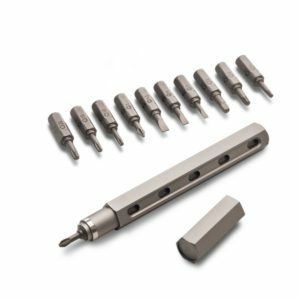 CNC machined from a single piece of 100% Pure Steel with zero alloys! Ultraviolet protection to keep your herbs fresh for months. Eco-friendly, BPA, and Lead Free! Premium bamboo wood with a natural stain inside and out! 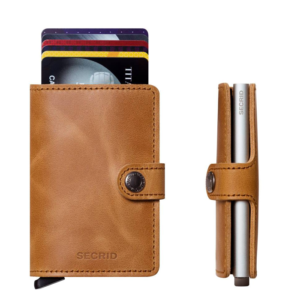 • Measures 5” long and 3.25” wide. Comes with the SwagGear Holographic packaging which makes it perfect for gifts! 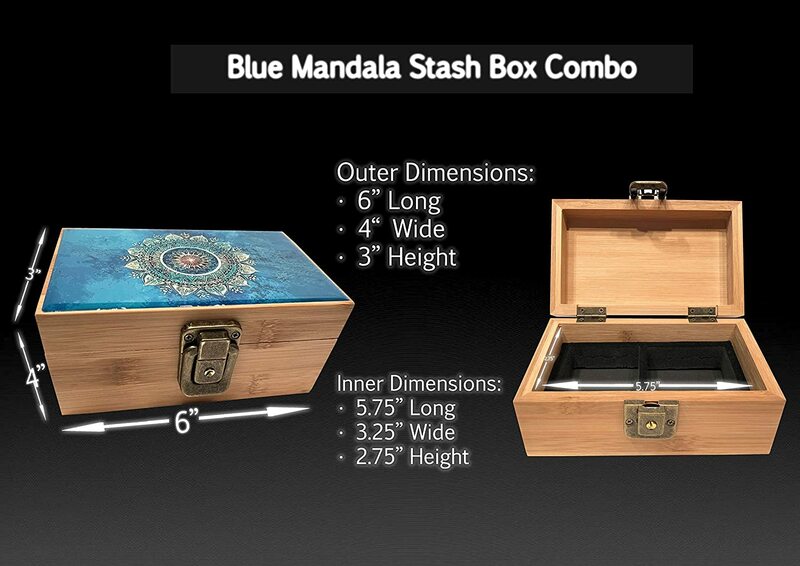 HIGH END DESIGN: Handcrafted boxes with a custom mandala design! 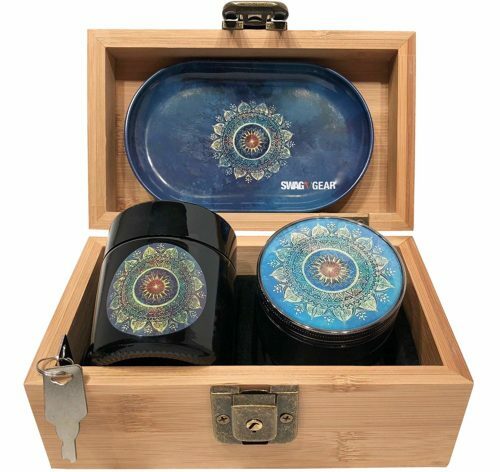 The original Tree of Life Stash Box!! 100% satisfaction or your money back! No questions asked. 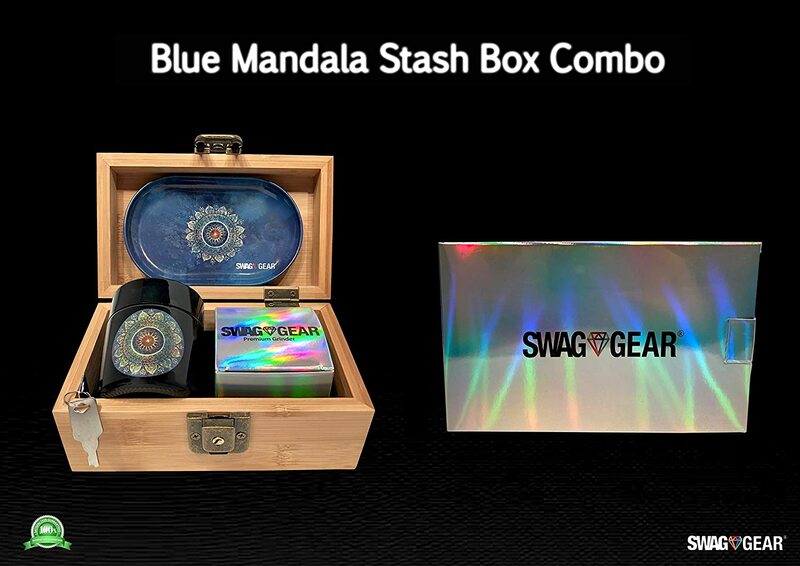 Click the ‘Add To Cart’ button to order the original Blue Mandala Stash Box Combo today!